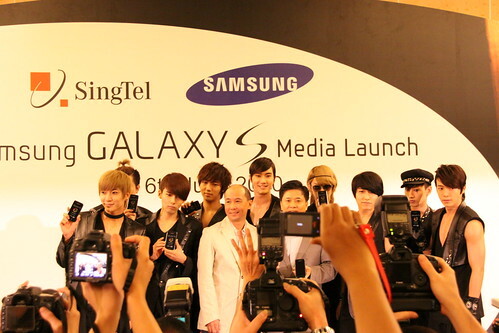 Samsung has partnered SingTel to launch the Samsung Galaxy S in Singapore. SingTel is the first telecom operator in the world to carry the Samsung Galaxy S.
The Galaxy S is an Android 2.1 phone featuring a 4″ super AMOLED screen display and a 1GHz processor. The phone displays is less reflective yet able to retain the brilliance of colors and sharp clarity. It is amazingly responsive even when typing on the keyboard. It also have haptic feedback that indicates by vibrating when you touch on any virtual keys (Li Xiang is very amaze with this). 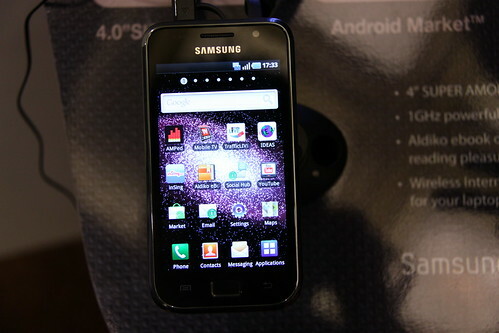 For Google enthusiasts, Galaxy S supports several Google mobile services such as Google Search, Gmail and Google Maps. Sign up 3G Flexi plans with SingTel, you will be able to enjoy services like MobileTV and Singtel AMPed bundle with this phone. The fun part of Galaxy S, it has a 5 pixel camera and a front facing camera. Capabilities like Auto focus, Continuous shot, Self shot, Action shot, Add me, Cartoon shot, Smile shot, Vintage shot, Panorama shot, Anti-shake, Blink-detection and Auto contrast are part of the package. It allows HD video recording and playback too. Also, Galaxy S is expandable up to 32GB of external memory via microSD. 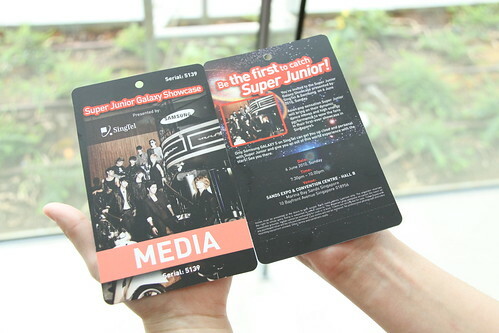 Samsung and Singtel are both very honored to fly Super Junior all the way from South Korea to be the ambassadors for Galaxy S.
Channel NewsAsia – An Asian TV news channel that provides news and information on global developments with Asian perspectives. Bloomberg TV – Real-time financial news from the world’s unrivalled financial authority. ETTV Asia – Taiwanese news channel specially designed for Asian viewers. Dragon TV – Leading Mandarin channel from Shanghai, offering news, lifestyle programmes and more.